I love using my mortar and pestle, in fact, I have 2 that live on my counter top. I find they are quick and easy to use for many things. What I don’t like is washing extra dishes, which is what a food processor would provide, more dishes. Ok, so a food processor would also provide convenience, but honestly, it didn’t even take 5 minutes to pound together the basil, pine nuts and garlic. 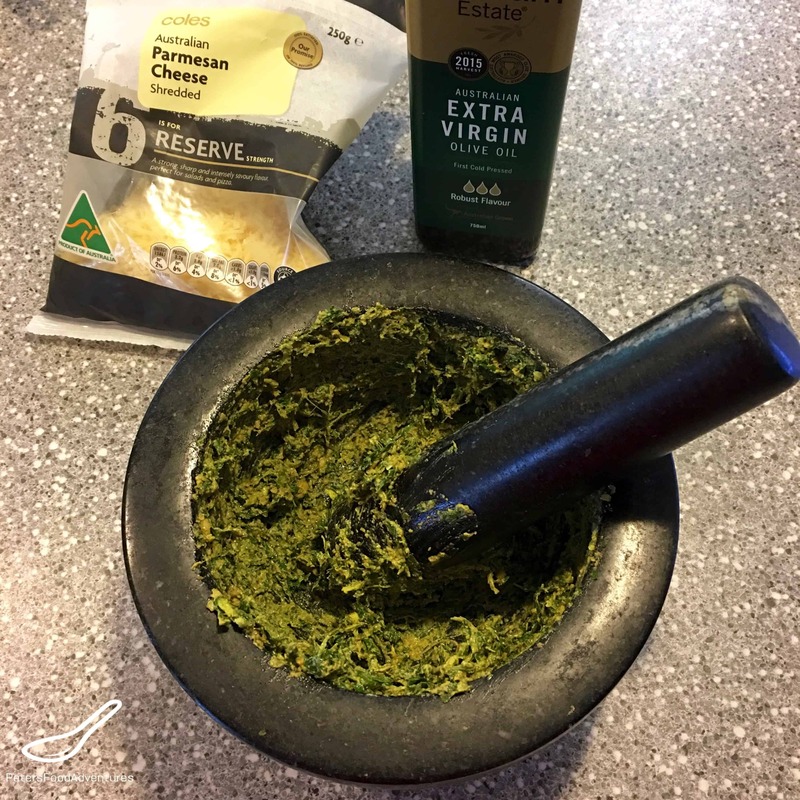 Making Homemade Pesto using a Mortar and Pestle allows you to control and ‘feel’ the consistency of your pesto, as you bruise the basil leaves and release the flavours. I just don’t think a food processor can do that! It’s the classic way of making pesto, like the old Italian mama’s used to make in the village. There are so many ways to eat pesto, whether on a sandwich, in a bruschetta, baked in bread, or on bread, or my favorite, Creamy Basil Pesto Chicken. Mix it with mayo as a spread, or with sour cream and mayonnaise to use as a dip. Fresh homemade pesto tastes so much better than store bought, with such a fragrant flavour. You’ll love making Homemade Pesto using a Pestle and Mortar, roll up your sleeves and give it a bash. Bon Appetit! Приятного аппетита! Place the pine nuts, basil, garlic cloves into a pestle and mortar, and bash it all together, grinding it until it's a paste. Alternatively, use a food processor to blend until finely chopped. Add the olive oil and cheese and mix together. Salt and pepper to taste.